Animals have made the difference in so many people's lives. For many families, pets are just another member of the family. Yet, there are so many animals who don't know the love and safety of having a home. Almost 3 million animals will lose their lives this year from not having a home. June marks a particularly active time for shelters and rescue groups, as it’s the peak of kitten season, when thousands of newborn homeless kittens join other cats available for adoption across the United States. There are cats for every personality in shelters and rescue groups right now, and with each adoption, the number of healthy and treatable pets who lose their lives in shelters each year declines. Currently, about 2.4 million pets still need to find a home each year. The Shelter Pet Project is working hard to increase pet options across the country. Currently only 29% of the pets in homes were adopted or rescued from shelters. With so many animals needing a family, Shelter Pet Project wants to see that number go up and put an end to the euthinization of healthy (but homeless) cats and dogs. Are you thinking of adding a furry friend to your family? 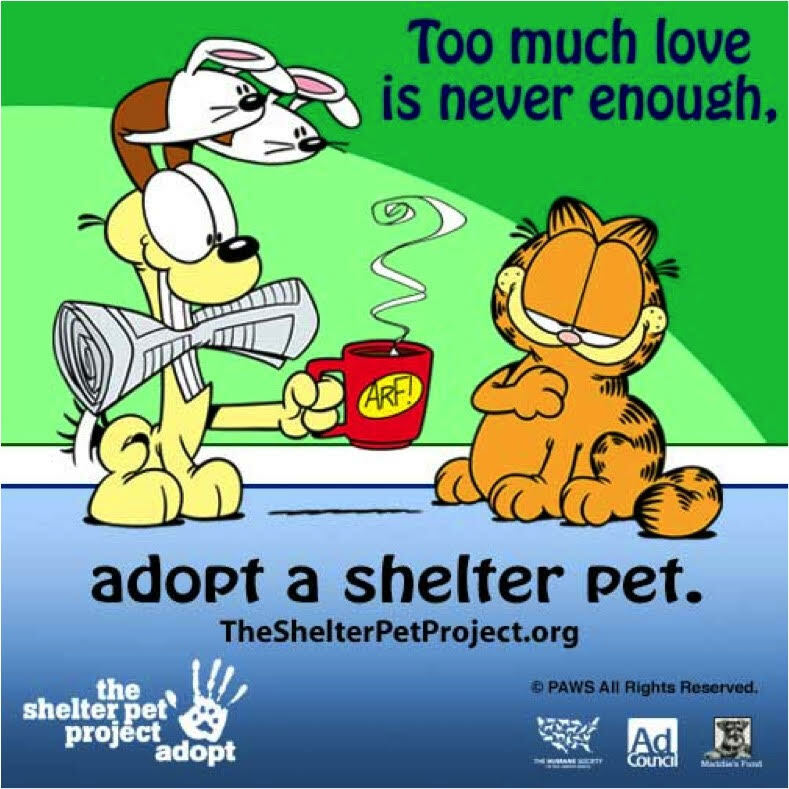 Check out Shelter Pet Project for how you can adopt a pet near you. To learn more, join the conversation during today's #GarfieldChat on Twitter from 3-4pm EST, and hear from @ShelterPets and @Garfield about Adopt-A-Cat Month.